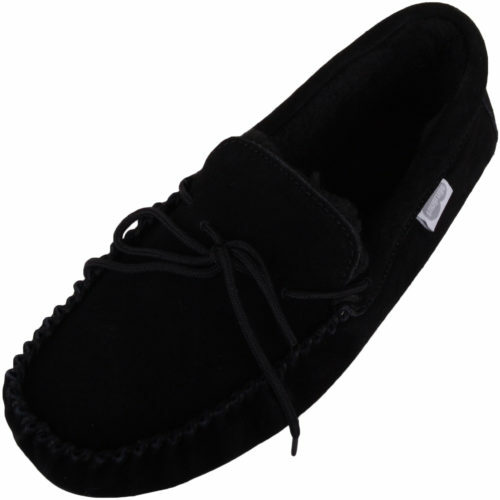 Browse through our selection of super comfortable suede and leather men’s moccasin slippers. 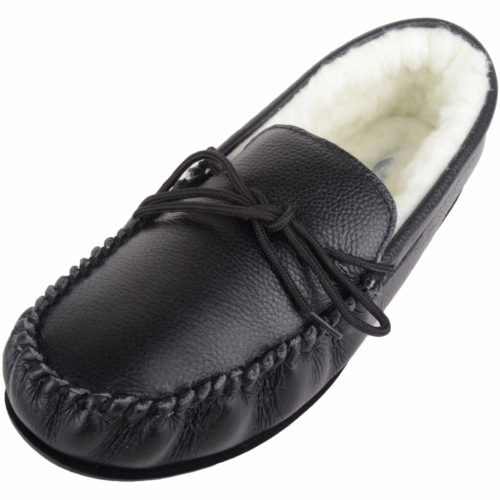 Choose from wool, cotton or sheepskin inner with either a soft suede sole or a hard wearing flexible rubber sole. 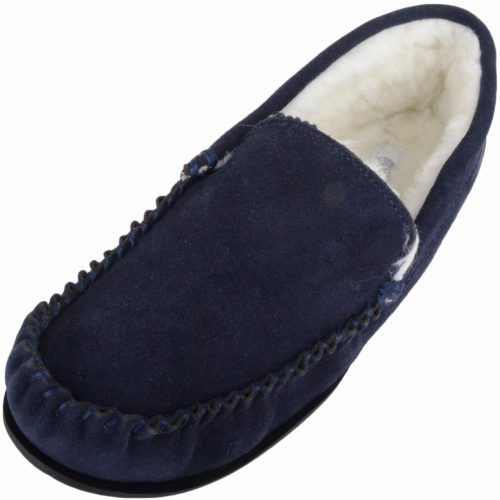 Men’s moccasin slippers will welcome your tired feet day or night, like a trusted friend. What makes them so special? 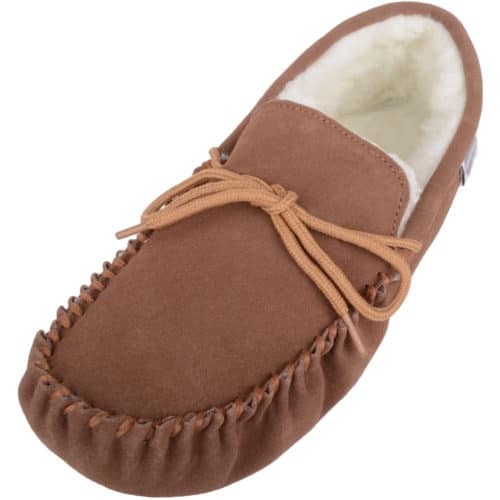 They are not a fashion statement or a talking point for fashion bloggers, they are a staple accessory you can rely on to soothe your aching feet. 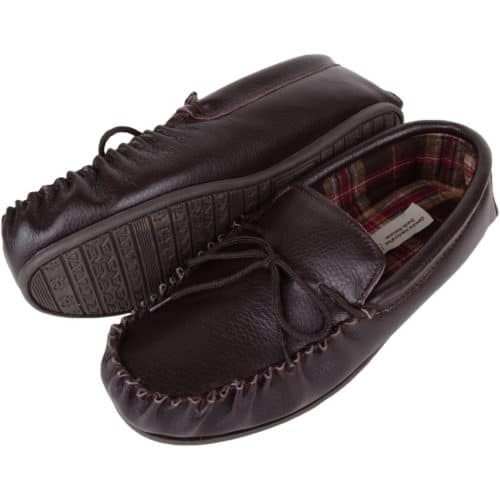 We make enormous demands on our feet so we need to reward them kindly. 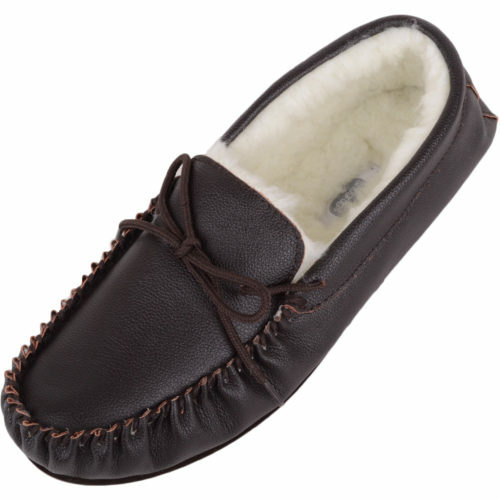 Classic, head wearing and hard working, moccasin slippers for men will add Joie de vivre to your day. 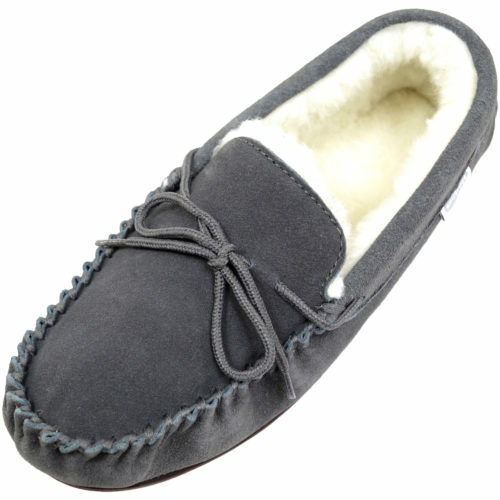 In the winter cold feet are a curse. 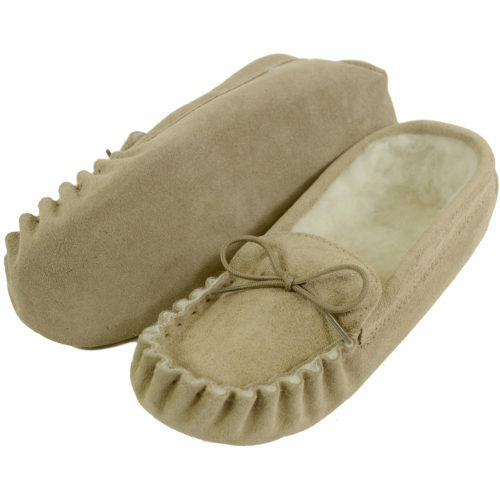 Some people refer to slippers as ‘house shoes’, footwear meant to be worn inside the home, not outdoors. 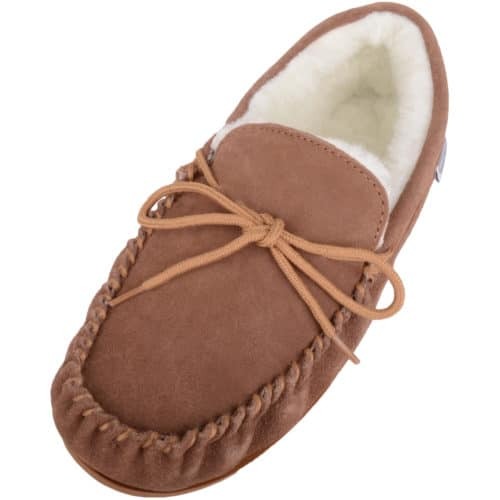 We at Snugrugs take our footwear seriously. 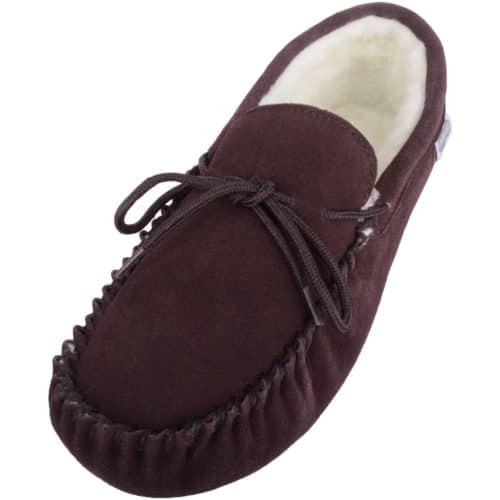 Over the years we have worked with our suppliers to improve the fit and comfort of our Mens moccasin slippers. Our customers wanted bigger sizes so we increased our men’s sizes up from a 12 up to a UK size 14, a size not readily available on the high street. 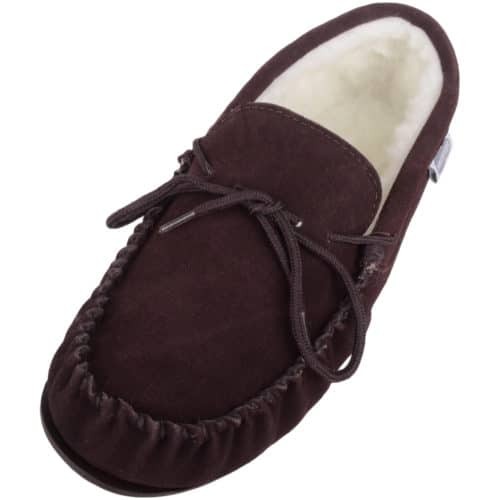 They are finished by hand with nylon thread for strength and durability. They are sized to the millimetre. 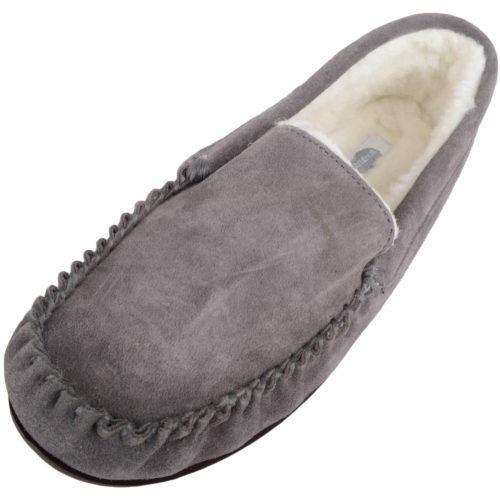 A generous wool layer provides cushioning. 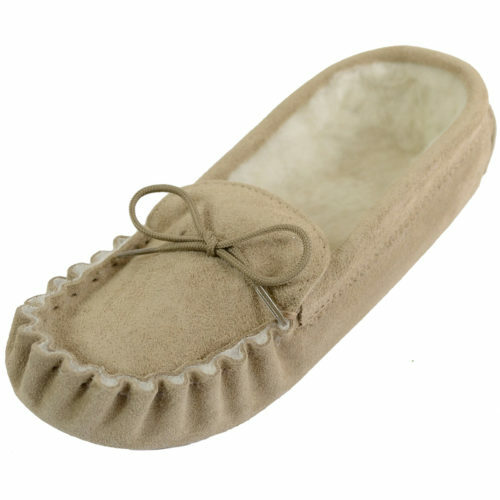 The seams are strengthened, which means you can be confident putting your slippers through their pace! In a world of rising prices, we work hard keeping prices as low as possible, without compromising quality. 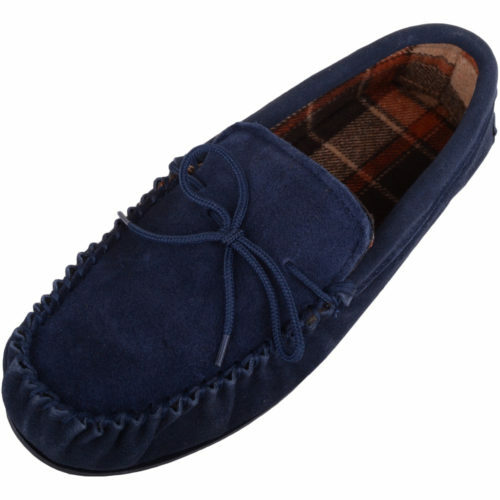 Combining comfort and style in equal measure, our men’s moccasins are the ideal addition to any outfit and for any occasion – individually made using the finest leather and soft suede. 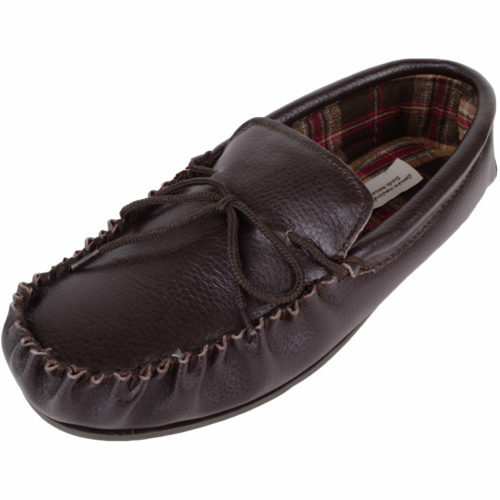 A variety of styles are available, incorporating the timelessly classic hand stitched mocc design with ruched edging and tied lace. 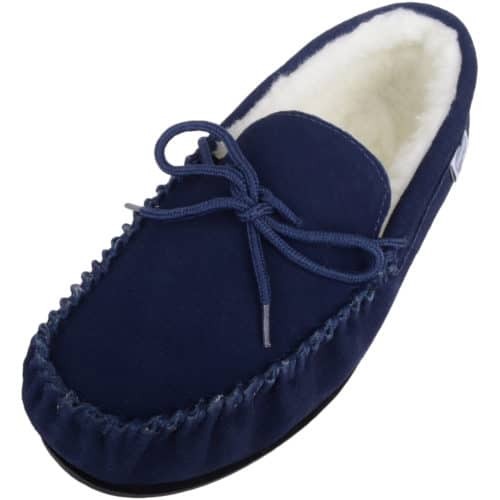 These comfy slip-ons can be worn around the house or out and about all year round – whatever the weather. 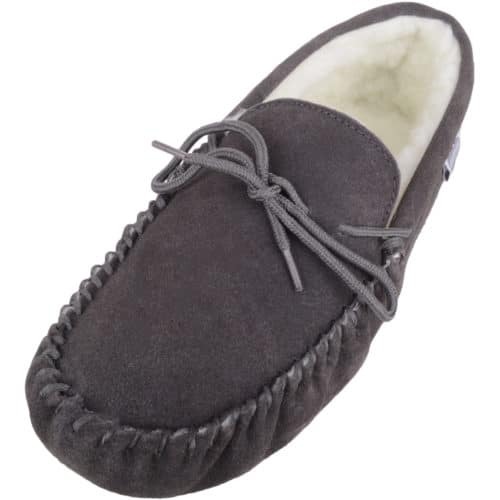 Strong, durable leather and sturdy suede form the upper in a variety of versatile colours including taupe, dark brown and navy. 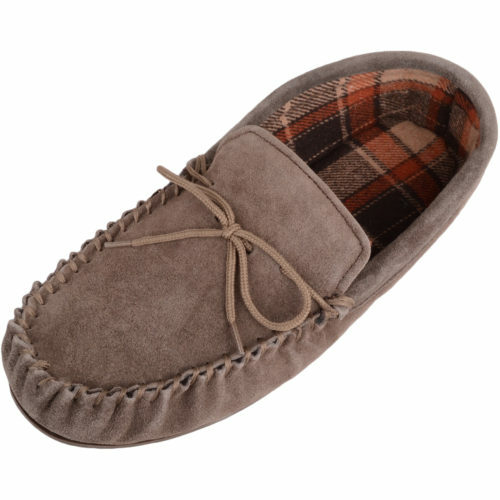 Linings include plush, fluffy fleece, ultra-warm wool and artisanal tartan cotton. 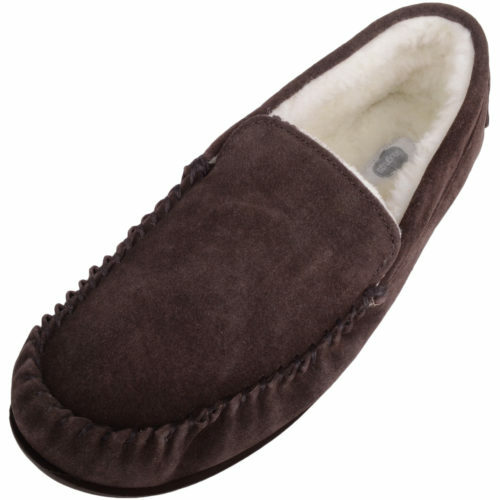 Tough yet flexible rubber soles offer superior grip and the soft suede soles are ideal for wearing around the house.